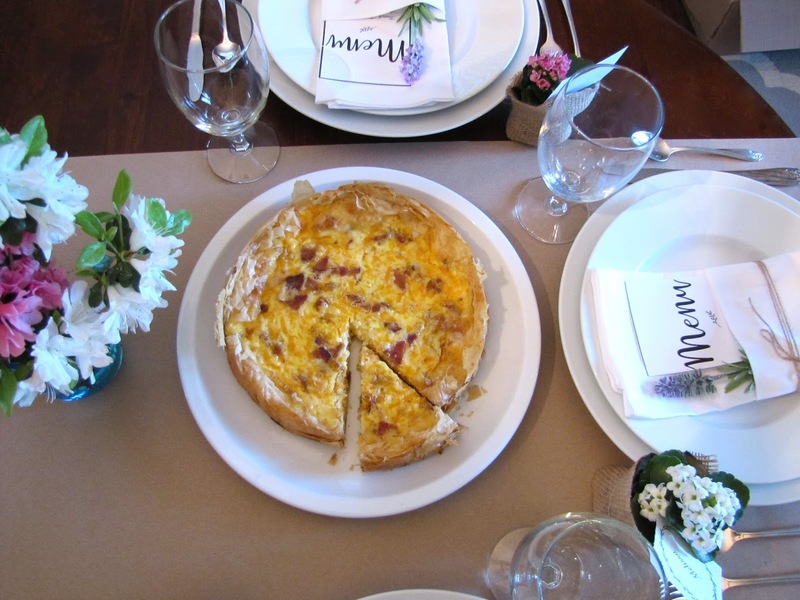 Today I'm sharing with you the most delicious quiche recipe! It's so easy to throw together and can be served hot or cold which makes it the perfect make-ahead dish for your next party. I made it for a ladies brunch a few months ago. 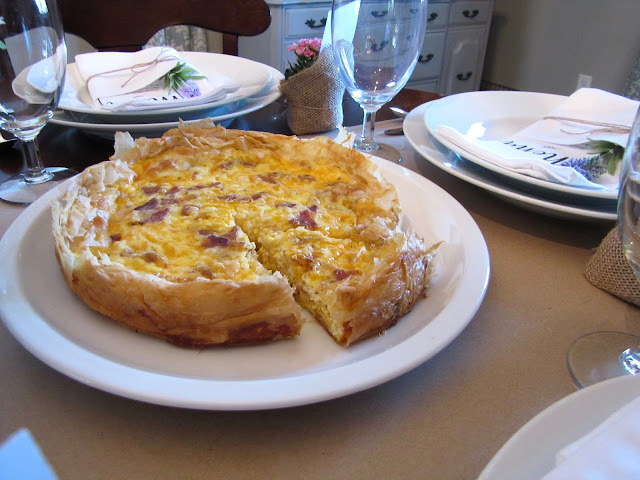 I've tried several quiche recipes in the past and this one is by far my favorite. I put crispy bacon and shredded cheddar cheese in this one but you could really customize it and add any combination of toppings you want. I decided to use phyllo dough as the crust on this one but I've done pie crust also and they are both delicious! Brush a sheet of phyllo pastry with butter and fit into the bottom of a greased 9" pie dish or springform pan like this one, with the ends hanging over the side. Repeat with the remaining sheets placing them on top. Set aside. In a medium bowl beat together the eggs and cottage cheese. Stir in the bacon and cheddar cheese. Pour the egg mixture into the prepared pan and cover with foil. Remove the foil and bake at 300 degrees for 30 more minutes or until the egg is set. This is delicious served warm out of the oven or reheated the next day. 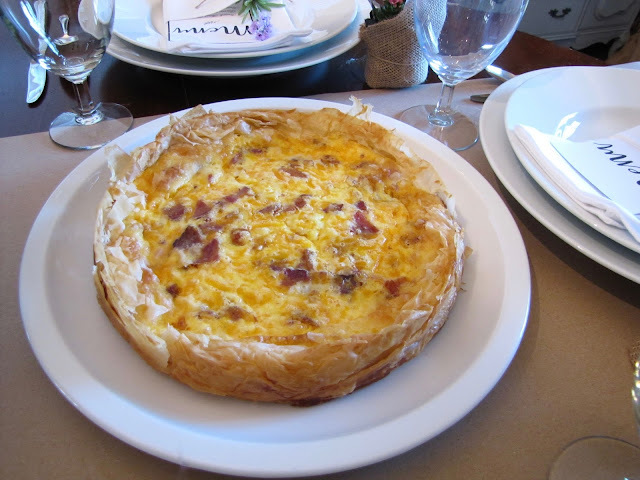 ** You can substitute the bacon and cheddar for any combination of veggies, ham and cheese or even cooked apples would be delicious.